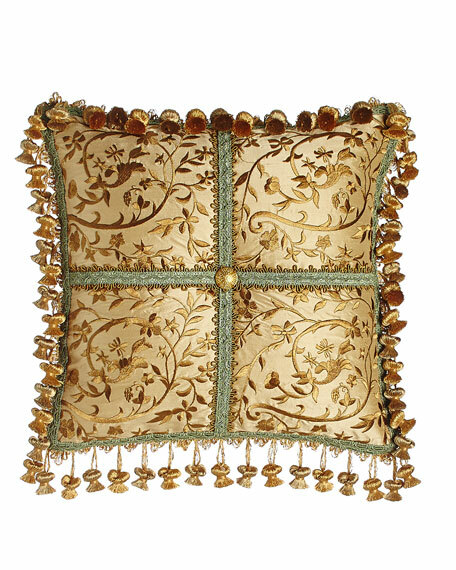 European-woven polyester damask center; beaded silk sides. Finished with brush fringe and cotton/polyester backing. Finished with onion trim and cotton/polyester backing. 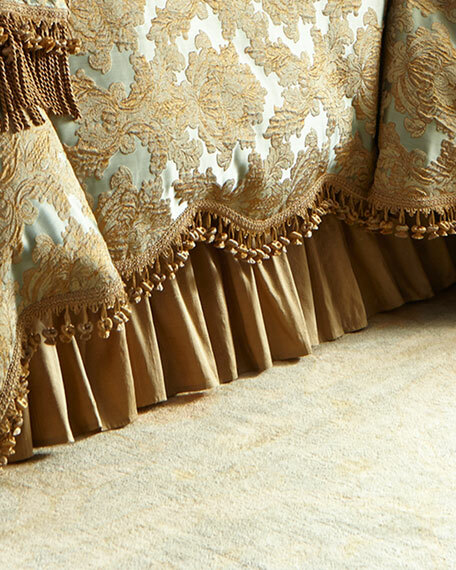 European-woven polyester damask with onion trim. Made of polyester and embroidered silk with beaded center. 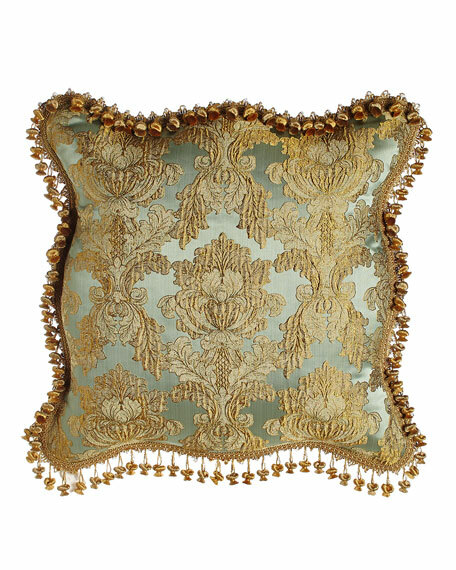 Sweet Dreams Palazzo Como Diamond-Center Pillow, 20"Sq. 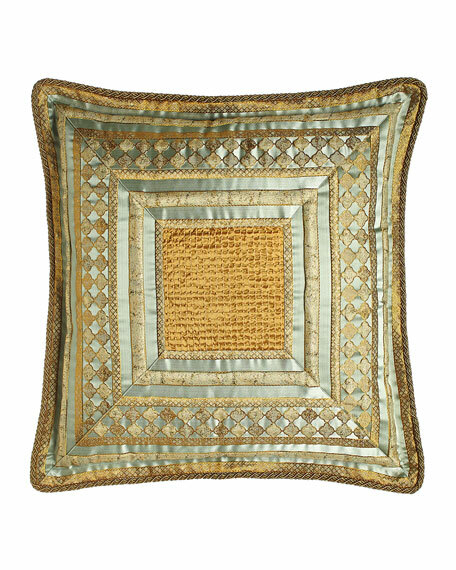 Sweet DreamsPalazzo Como Diamond-Center Pillow, 20"Sq. Adorned with beads, gimp, and embroidery. 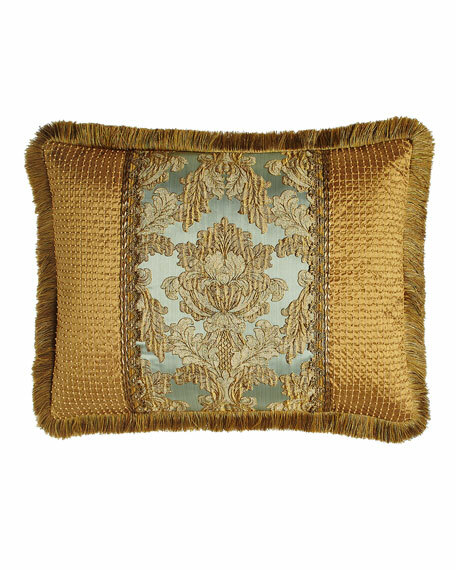 Sweet Dreams Palazzo Como Embroidered Silk Pillow, 14"Sq. 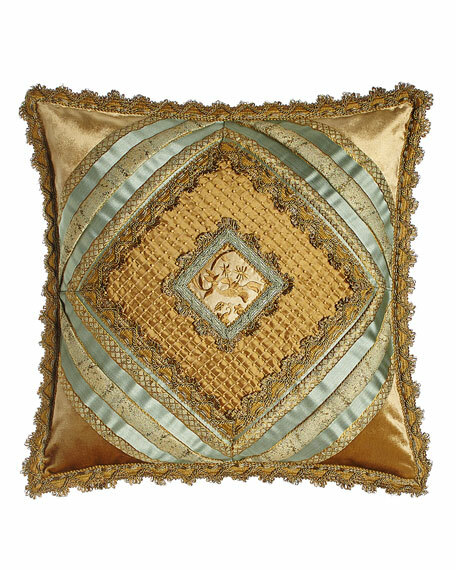 Sweet DreamsPalazzo Como Embroidered Silk Pillow, 14"Sq. 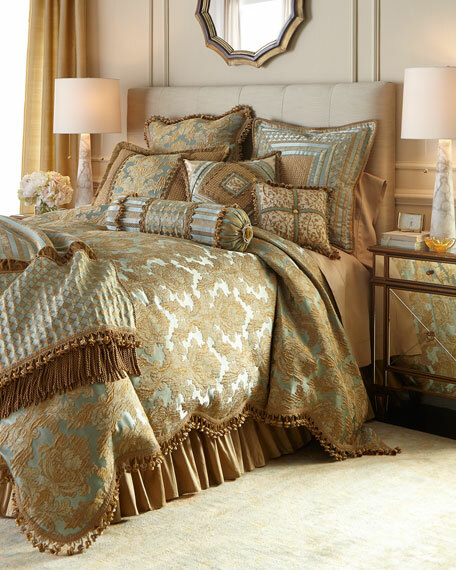 Gold silk with floral embroidery, onion trim, and teal accents. 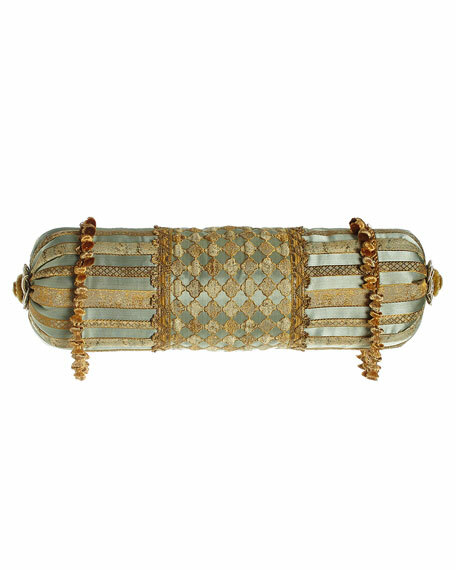 Gold silk dust skirt adjusts to fit queen- or king-size beds. Three gathered panels with 18" drop. 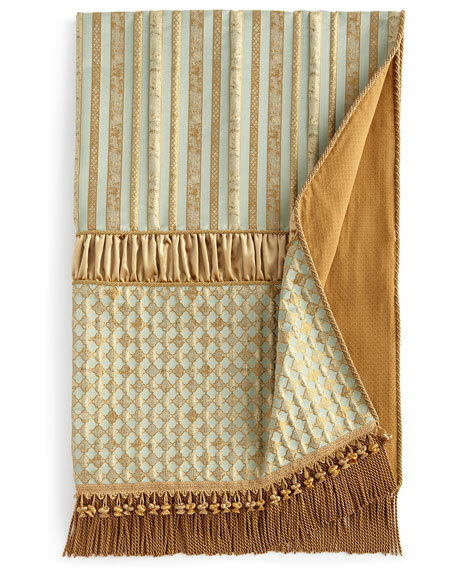 Sweet Dreams Palazzo Como Pieced Throw, 53" x 72"
Sweet DreamsPalazzo Como Pieced Throw, 53" x 72"
Finished with ruched velvet insets, cording, onion trim, and bullion fringe.